You are here: Home / One Hat, Two Hats, Old Hat, New Hats! Three hats to share today and all of them are free! First on the menu is my very first pattern. It has never been blogged here, but I feel like the timing is right. Next, I have a brand new knit beanie. Only one color is worked at a time with slipped stitches galore. Check out the Mint Chocolate Beanie (Knit) at the Tangled Blog! And lastly, a new crochet beanie, twin to the knit hat above. Check out the Mint Chocolate Beanie (Crochet) at the Tangled Blog! These three hats all have something fun to offer a crafter. I can make the Combination Summer Hat in about an hour, so it has become my favorite last-minute gift lately. The Knit Mint Chocolate Beanie has a more methodical pace, but it is a lot of fun to watch the colors swirl simply by slipping stitches. 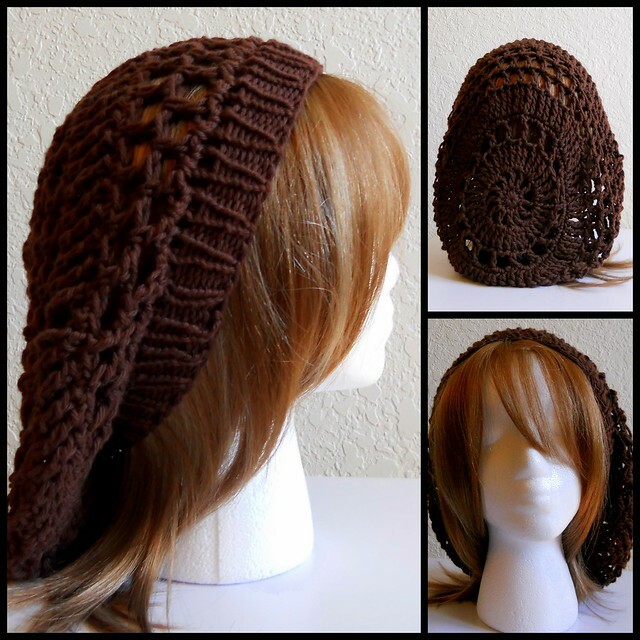 The Crochet Mint Chocolate Beanie uses completely different techniques than the Knit version, (out of necessity, of course) and relies on working stitches into previous rows and decorating the fabric with front post double crochet. I had so much fun with each of these patterns. I hope you will too! Really cute hats! The Summer Hat is a great knit/crochet combo pattern. Hi Manda. How do I get the revised Combination Summer Hat? I keep getting the old 2010 pattern that doesn’t have the corrections. Leave a Reply to mamaspins Click here to cancel reply.